You can’t avoid every threat that lurks online. But some awareness and a few simple tricks can help you enhance your privacy and minimize the risk to be hacked, tracked or otherwise affected on the web. It’s true that each time you browse the Internet, you leave a trail of your private information: where you go and what you like, what topics you care about and what you buy. This data is carefully collected by advertisers, ISPs and other trackers. Not to mention constant scams, malware and other cyber surprises that are constantly threatening your privacy. If you use Mozilla Firefox as your default browser, you may be pleased to know it is strongly focused on protecting your privacy. However, some of the necessary features are not turned on by default, so you have to find them and do it yourself. We can help you with that. Here you can enable Firefox to send a “Do Not Track” request to each website you visit. However, since websites are not required to respect this request, very often they simply ignore the message. Available to use occasionally or by default, the private browsing mode allows you to visit websites without Firefox storing any data about your browsing activities. Once the session is closed, all your searches, history and cookies are gone. Remember, that this doesn’t make you anonymous, so other applications can still track what you do online. You can download NordVPN proxy extension from the Mozilla Firefox Add-ons page. Once you do that, it will turn up next to your other Firefox extensions so you can find it and connect easily. 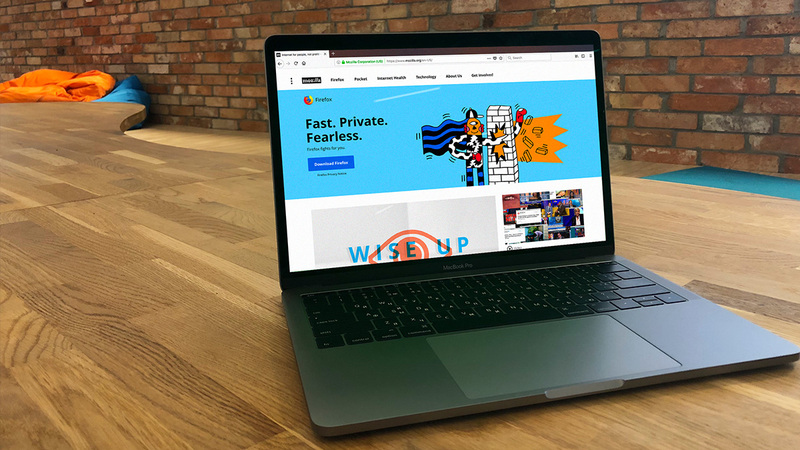 The second you do that, it instantly encrypts your browsing data and hides your IP address, which means that your Internet activity becomes invisible to any third-party snoopers. With the NordVPN extension enabled, you can securely access websites even if they are not protected by HTTPS. Also, you can change your virtual location easily and shield yourself from annoying ads and malware. Learn more about the NordVPN proxy extension here. Other important Firefox features worth mentioning help to protect yourself from phishing and harmful malware. When enabled, they check sites against a list of popular cyber threats and alert or block suspicious downloads and content. Better make sure these always stay checked and if in need, specify which websites are allowed to install add-ons. This feature is a must-have unless you like ads popping up every time you enter the site. Make sure that ‘Block pop-up windows’ stays checked and add some exceptions if you want. You may have noticed that when you type into Firefox’s address bar, it automatically suggests websites based on your favorite topics and browsing habits. If you don’t like that, you may want to uncheck some of these boxes. Another useful feature listed above is the ability to change your default search engine. Perhaps, to a safer one than you are currently using. Unless otherwise specified, Firefox keeps your data (passwords, favorites, preferences, etc.) on Mozilla’s servers and allows you to share it across multiple devices. Sign in with your Firefox Account to specify what data you want synchronized with a selected device. If you don’t have an account, Firefox won’t sync your data.